I think that everyone will agree that Angry Birds are one of the most famous and most popular mobile gaming franchises of all time. That’s simply the way it is, ever since their very first game appeared on the play store this game was a huge success. The proof for this is the fact that they have taken part in almost every single genre imaginable. Even though that main goal in their first games was to demolish almost everything on the screen, the spin-offs were aimed more at RPG and racing games. But, the interesting fact is that even though the sequels weren’t all about the destruction they still managed to make them pretty “aggressive”. The latest game in the Angry Birds franchise is called Angry Birds Blast, and to be honest, even though they’re famous for mixing genres, it’s not something that you would expect from this company. It’s not that this game is bad in any way, it’s just that it looks too different from the previous games. 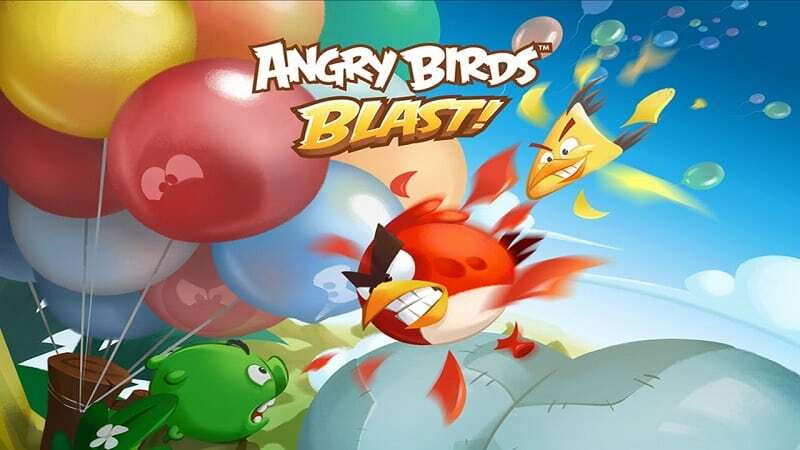 Angry birds Blast is a colorful game that is focused on popping balloons that appear on your screen, it sounds extremely simple, and honestly, it is, but there are some things you should know about gameplay that make this game so entertaining. One of the first things that you will notice when you open the game is that characters haven’t changed at all. All of the original birds are here, Red, Matilda, Chuck, Bomb, Jake, Jim, Jay. They’re all back and ready to fight evil green pigs again But, this time, things are a bit different. Pigs’ protection is the same, they’re inside their fort made of glass and wood, but, the thing that’s changed is the fact that birds can’t destroy it instantly. Now, they have to escape from the balloons that they’re in, in order to destroy the pigs. In order to free the birds, you will have to match two or more balloons that are the same color. This concept is slightly different than the one we saw in Angry Birds Fight! and similar type of games where you have to match 3 colors. We think that this makes the game easier and more fun to play because it offers you the opportunity for large matches in just one turn. Also, there’s one bad thing about this, and that is the fact is that now, the chances of making chains is reduced since the tiles don’t automatically disappear when they get lined up. Developers realized that this could be a problem for a lot of players, that’s why they decided to try and make it up to us by including extremely angry birds in a game. This birds, when used, will very effectively escape from their balloons and give their best to free random balloon. 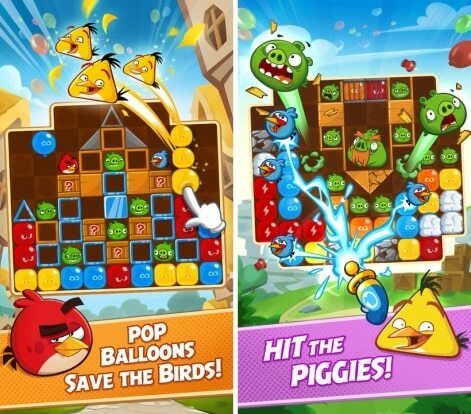 As we said earlier, it is undeniable that Angry Birds is a multi-genre franchise, but, we have to admit that it feels nice to see that they still managed to keep their original story of birds fighting pigs. It’s not just about the story too, even every single one of the characters remained the same, and that’s extremely positive. 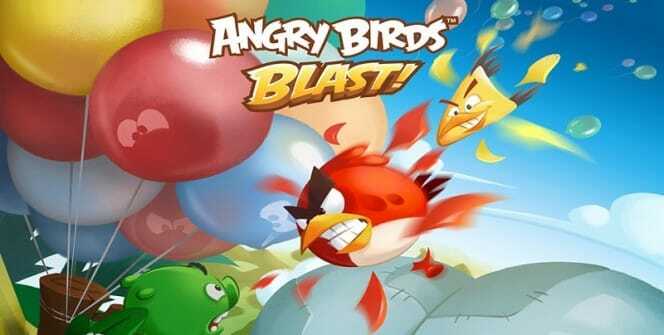 In order to play Angry Birds Blast, you will need a device with Android, iOS or Windows/MAC emulator. Sometimes when playing Angry Birds Blast, bluestacks ask you fee to pay but gives you option to download some apps. Every time it asks you just select “Install apps” and continue using it free. I hope you enjoyed this article, please rate and share. If you have problems running Angry Birds Blast on desktop or any other issues, leave a comment below.